Tan: The key to making money online is how to find customers, or how to let customers find your website. Despite the global financial crisis, eOneNet.com, the homegrown Internet Marketing company now with offices in Malaysia, Hong Kong and Singapore will see its revenue to grow by up to 100% this year. The reason is because it is constantly coming up with new products and new websites from time to time. According to Tan, the key to making money online is how to find customers, or how to let customers find out about your website. One of the most effective ways is to achieve top ranking in search engines in the organic search result without payment. There are various ways to make money online, according to Tan, that includes earning a commission by referring businesses to supplier’ website, making money with blogs from online advertisements, selling products, services, or information online. This is the most popular things to sell online. Example of products that eOneNet.com is selling include N95 masks, headset microphone and even US$1,000 DVDs. Other successful websites of eOneNet’s students include 8giftidea.com, selling personalized gifts, who started from scratch and is now receiving orders from globally. You may also use the Internet to sell services, such as Michael Ting, another eOneNet.com student, selling consultancy services with his website corporateturnaround.com. He recently received an order from online to train a few hundred staff of a company in Singapore. The first item eOneNet.com was selling since it was established in 2000 is its DIY website builder software, which is a non-technical template based tool to enable a non-technical people to build websites. “We will be launching a brand new version of site builder end of this year, which will be expected to contribute 10% - 20% of our company’s revenue in 2010,” says Tan. What about those of you who do not have any products or ideas of what to sell? According to Tan, many of her students are making money online by just doing a website and/or blogs on specific topics and then make money with different ways, such as income from online ads. One of the successful examples is Pnautocarinsurance.co.uk on the topic of car insurance. Once you have decided what to sell and completed a website or blog, the next challenge is to learn how to draw targeted traffic to your site or blog. One of the most effective ways is to get top rankings in search engines. 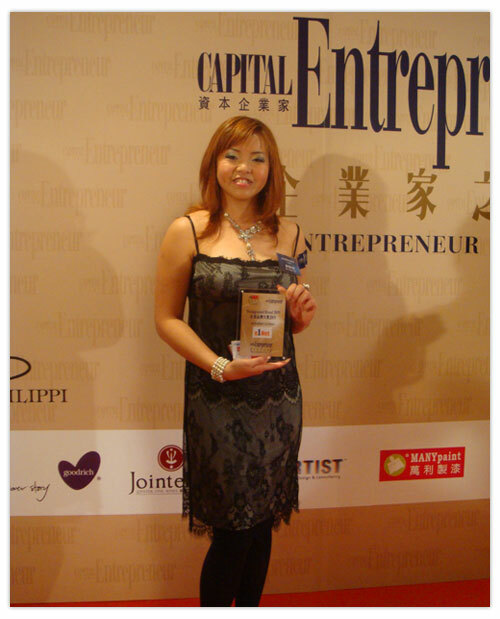 According to Tan, a majority part of eOneNet.com’s business as well as her successful students’ websites are attributable to getting top rankings for keywords relating to what they are selling. Ruby Chan, who was pregnant when she joined our Internet marketing coaching in 2006, successfully launched a website for her husband’s business glass-expert.com, and made more than one million dollar sales within the first 12 months, and 70% of her business was generated from the Internet, all because she managed to get top rankings in Google and Yahoo for her industry keywords. The secrets of success Internet entrepreneurs is in taking the time to learn the online marketing skills from correct coaches and many of them have attended eOneNet’s Internet marketing coaching program, which is a two day training in its computer lab to be followed by 2 months Internet business building with hand-holding coaching from eOneNet’s experienced Internet marketing coaches. As eOneNet.com is both an Internet marketing expert and and a practitioner, you will not be surprised to find both its Internet marketing coaching course, Internet marketing video course, and their various products and services are being ranked top in search engines. eOneNet.com will conduct a new “One Day Web 2.0 for Entrepreneurs” seminar, which reveals new ways of Internet marketing such as Facebook, MySpace, together with search engines optimization to help any website attract targeted customers worldwide. This seminar will cover both B2C and B2B online sales. The seminar will be held on 24 October (English) and 25 October (Chinese) in its Petaling Jaya centre Register at www.eOneNet.com. Enter promo code “Star98” to get a special online rate of RM98 (normal rate RM598). “There is no better time than NOW to start your own Internet business now, if you still haven’t really started. For those of you who are already running a business, learning how to use Internet marketing to expand your market globally is not an option, but a necessity for your business survival and growth,” Tan added.